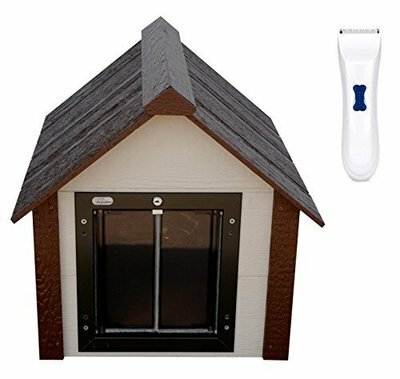 Having a heated dog house, will keep them warm this winter especially on those cold nights. 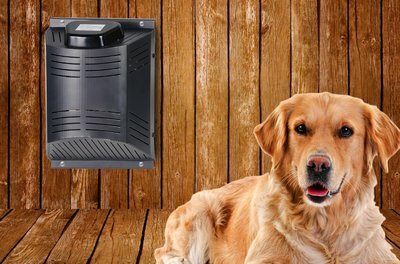 If you have an outside dog with a job, such as guarding your home or business, they need to stay warm, hydrated and fed. 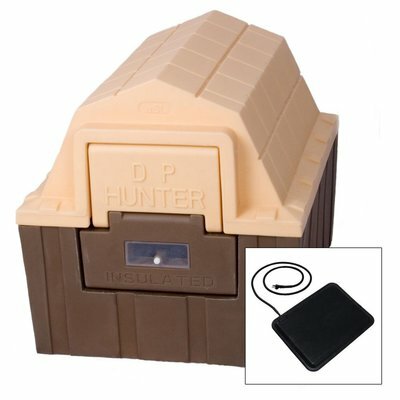 Keeping them warm means either access to the warm indoors or access to a heated dog houses. 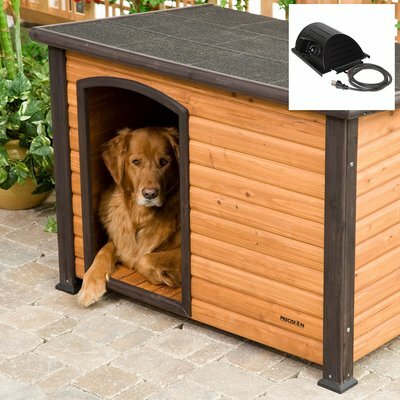 You can simply add a heated outdoor bed to your present dog house, or you can invest in one that comes with the heat. If you get it big enough you could also keep their water inside so that it doesn't freeze, otherwise you also need to address a heated bowl for them. 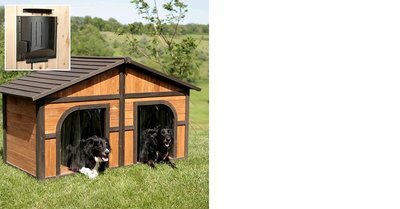 Indoor/Outdoor Dog need Shelter Too! 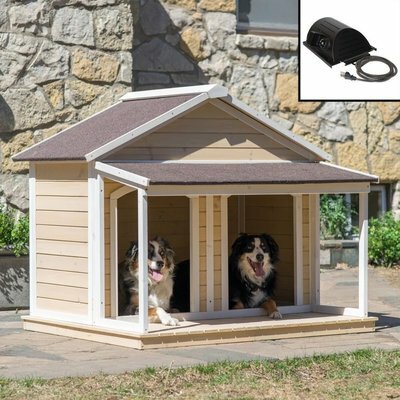 Even if you have an indoor dog, especially the larger breeds, they may also love to spend some time outdoors, so giving them a warm place to hang out will keep them from getting stiff and damp. 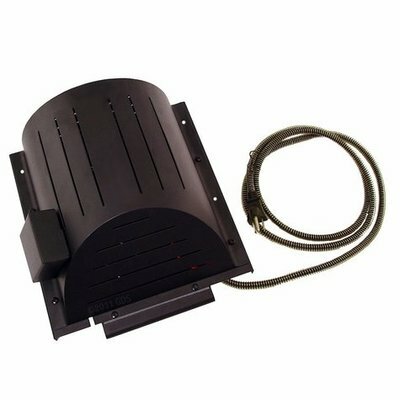 These more deluxe and chic models also give them heat and shelter. Might as well move uptown! 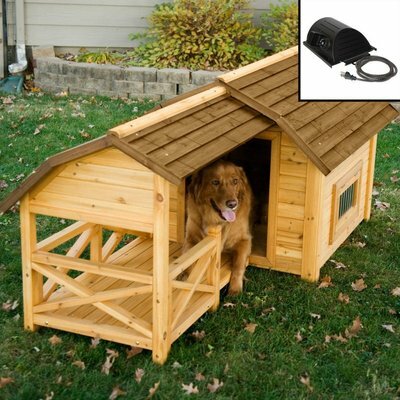 If you prefer to revamp your present dog shelter, you can install a dog house heater as shown below. As long as you can provide, warmth, plenty of ice free water and food, and lots of love, you pet or dog can stay comfy this winter. This helps their joints and slows down aging. My dog loves to play in the snow and enjoy but I also noticed after laying in the snow for a long time, she had a hard time getting up. So giving them some warmth can really help, plus they are all energy efficient. Something worth checking out.